Very rarely do I get to travel, but when I do you better believe I have an idea of what I’ll be doing. I love making lists and itineraries even though I may not follow them exactly as they are written or follow them at all. Yes, I still use a pen and paper to write lists. Sometimes I use the Notes app on the iPhone, but nothing makes me feel more accomplished than when I cross something off my little written lists. Not only do I try to make itineraries, I make a list of things to pack. 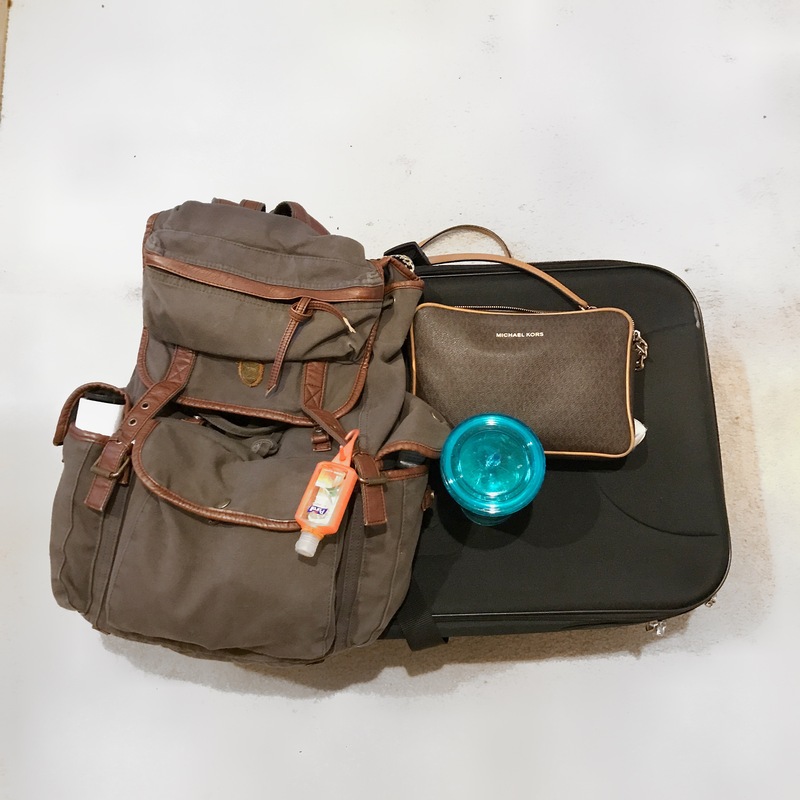 My lists vary depending on where I’m going and how long I’ll be there, so today’s post is dedicated to travel essentials. 2 night outfits – Chances are you’ll be going out and having a nice dinner or checking out a little bar. You definitely don’t want to go out in your day outfit. You can if you want, but don’t you want to look fresh and dressed up for the occasion? This should be self explanatory, but sometimes people forget.. Shoes! Have at least two options. Tennis shoes and a little black dress don’t always go together. If you’re going somewhere tropical I imagine you’ll be chilling at the beach or at a really nice resort pool, so be prepared! Try to change out of your clothes and into some comfortable PJs when you come home at 2 a.m. If you’re traveling to another state or country for more than the weekend, then bring outfits to last at least one week. After one week, then you could always wash your clothes and mix and match. Jewelry to pair with your outfits – I’m pretty minimum when it comes to jewelry, but I always try to bring a necklace or two. If you have glasses or contacts, don’t forget them. You want to be able to see the beautiful places you visit. Beauty and Health products – Just because your away from home doesn’t mean you have to forget your daily routines when it comes to hygiene! Also note, there are travel size things of a lot of products! Dry Shampoo is a must for those days you don’t feel like washing your hair or for those times you may not have a shower around. I’m definitely someone who overpacks. There are times where I come home without using a certain outfit or product. But I think it’s better to over pack than to worry about buying something in another place because you forgot it at home. Just make sure you don’t go over the weight limit! I won’t be traveling any time soon, but at least I’ll be prepared with this list! Did I forget something? What things do you ALWAYS travel with? This entry was posted in A blog a day August 2017, Personal and tagged blog, challenge, life, lifestyle, Lists, Personal, random, travel, writing on August 11, 2017 by Adele Fredeluces.